The rousing cheers. . . the marching bands. . . the pep rallies . . . the tailgate parties . . . the proud display of your school colors. 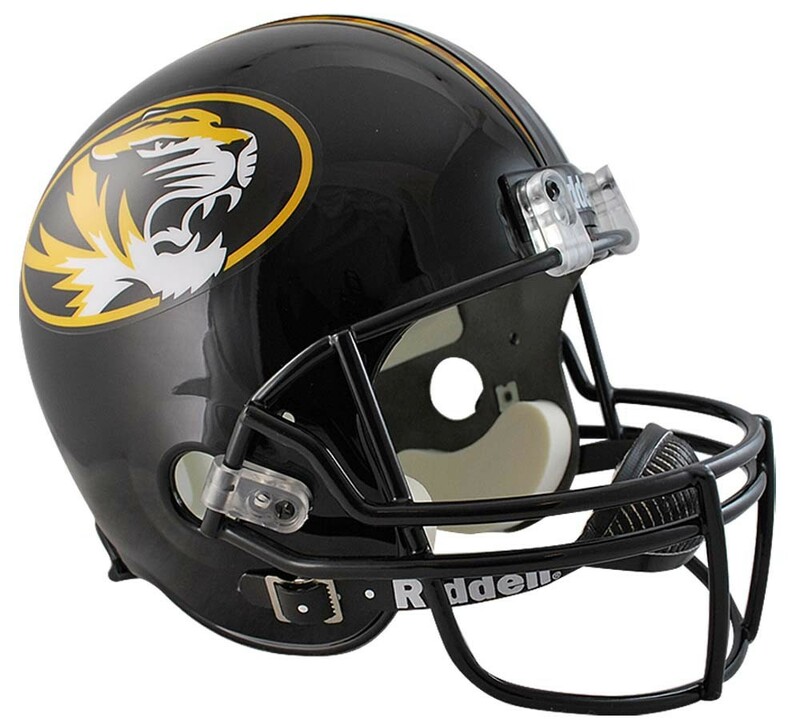 Support your alma mater with a Missouri Tigers NCAA Replica Helmet that you can treasure for now and years to come. Each helmet is an officially licensed collegiate product, complete with authentic team colors and decals. Perfect for display in your home or office or as a gift for fellow alumni. Note: Our warehouse ships the current style / logo of this team's helmet. Image may be a representation only.